Keeps leather, vinyl and plastic soft and supple. Helps prevent salt stains. Fine for white leather. 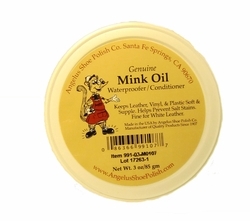 Made to be used on shoes, jackets, purses, boots, saddles and tack. 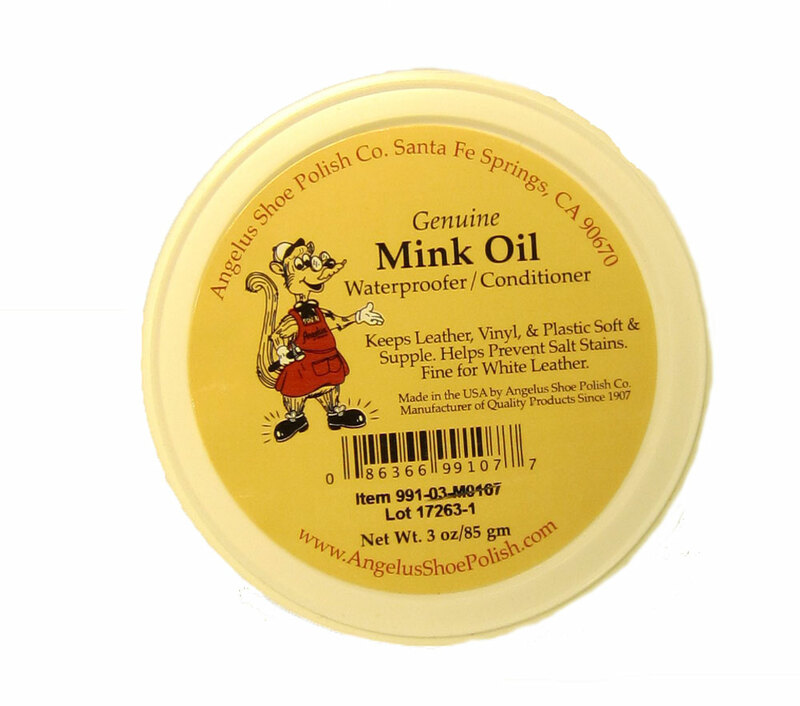 Mink oil will darken certain leathers. Please test on your item first.